A number fetish, a lucky number, the series allows you to choose your number ! Below are the number reserved by default, all the others are avaible for you. « Tour Voile Series » : are high level International Events , where you would expect to compete against high level athletes or Olympians. Open to all, orientated to teams preparing for the Tour De France a la Voile, Coastal Raids and Stadium Racing, particularly visible to the public and therefore an effective platform for sponsors. « Diam Regatta » : Bespoke Grand Prix Events for Diam24od’s that respond to the needs of the owners. These events combine athletic endeavour on the water and conviviality ashore over a weekend. A mixture of longer distance and shorter « Warm Up » races combine to an produce and overal result. « Raid tropic » : comparable to adventure travel – allowing you to discover a new country and its sailing playgrounds by following your passion to race. This will allow a better exposure, more communication for the Teams and their sponsors, during the 5 months of the « Tour Voile Series » season, the national rankings will be established mid of June. Upon the request of the « owner driver » and the president, the labelled regattas « Diam Racing » will be intended for amateurs, “parcours construits” or coastal races. A temporary national rankings will be edited after each race meanwhile the national rankings at the end of the season. 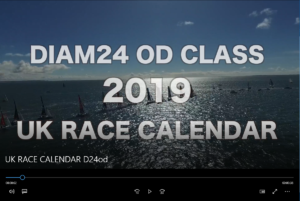 Up to 2021, The Diam 24od is the official boat of the Tour de France à la Voile. 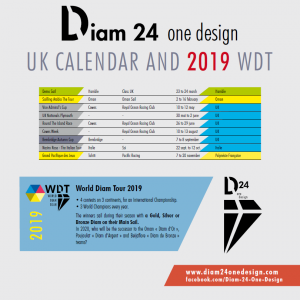 Lear more about the World Diam Tour 2019 : 4 races ! Class membership is mandatory to receive your D24od certificate. The Certificate is obligatory to race. Membership is required by boat. In the case of rentals/charters – the renter/charterer must be a member.